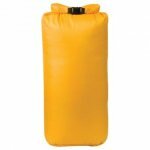 Dry Sack is an ultralight waterproof roll closure, bulk reducing sack that is ideally shaped for easy and efficient packing. 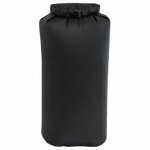 Features an arched rolling stay that helps keep the top of the sack open while loading. 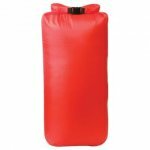 Made from 70D Ripstop PVC free polyurethane. Size: 7 L- 4.5" x 7" x 17", 10 L- 5" x 7.25" x 20", 13 L- 5.25" x 7.75" x 21", 18 L- 6" x 8.75" x 22.5", 25 L- 7" x 10" x 25", 33 L- 8" x 11.5" x 27"